Find 16+ connections with today? The work of all who represent workers in the field, who help refugees safeguard their dignity, reflects God’s mercy and is a sign that evil doesn't have the last word. Arms and oppression, hidden interests, and violence still wreak devastation, and we haven't been able to end the suffering and human rights violations. Violence begets violence, and we feel caught up in a spiral of arrogance and inertia. This evil that grips our will and conscience should challenge us. Why do people continue to abuse power and seek revenge and violence? The recent attack on a UN humanitarian convoy is an experience of the mysterium iniquitatis, evil in people and history that needs to be redeemed. Fix your gaze on Christ, Mercy incarnate, who conquered sin and death. "The limit imposed upon evil, of which man is both perpetrator and victim, is ultimately the Divine Mercy" (Pope St. John Paul II). The answer to the drama of evil lies in the mystery of Christ. Today's gospel is business of angels pointing beyond themselves is wonderfully illustrated in today’s gospel reading, Jesus encounter with Nathanael (whose name also points to God: “gift of God”) says, “Rabbi, you are the Son of God; you are the King of Israel,” Jewish names for the expected Messiah, but not yet confession of divinity. 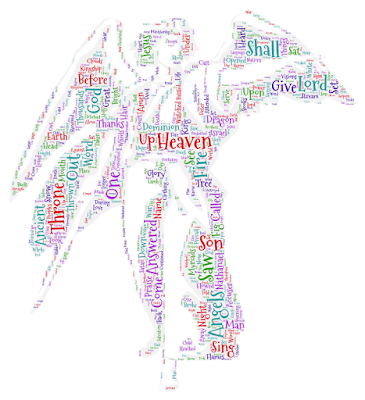 Jesus subtly corrects him: “You [plural] will see the sky opened and the angels of God ascending and descending on the Son of Man,” alluding to Jacob's dream of a stairway, between earth and heavens, with God's messengers (angels) going up and down. When Jacob awakens, the Lord repeats to him the promise to his grandfather Abraham, about his descendants becoming a blessing to all; Jacob then observes “this place is God's house, heaven's gate.” Jesus applies Jacob's dream to himself as Son of Man, the one who fulfills Daniel's vision of “one like a son of man” inheriting God's kingdom. 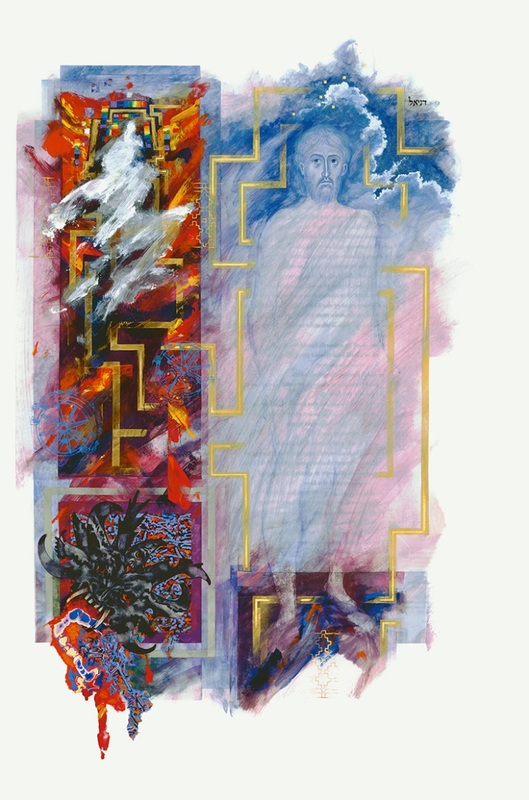 The dream points to the incarnation: Jesus, Word made flesh, risen Lord, the temple of God, is the ultimate connection between heaven and earth. 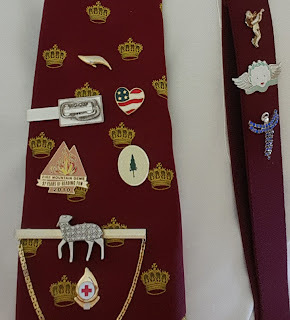 May we appreciate Christ our Lord as the “place” of full connection between divine and human, the new embodiment of all the tabernacle and temple stood for. This feast helps us join the angels praising God for our redemption in Christ. Passionist: “Angels are created spirits without bodies” (Baltimore Catechism 35). “The good angels help us by praying for us, by acting as messengers from God to us, and by serving as our guardian angels” (42). “Everything said about [angels] in the Bible proclaims the marvelous truth: God is concerned for us in a thousand ways. 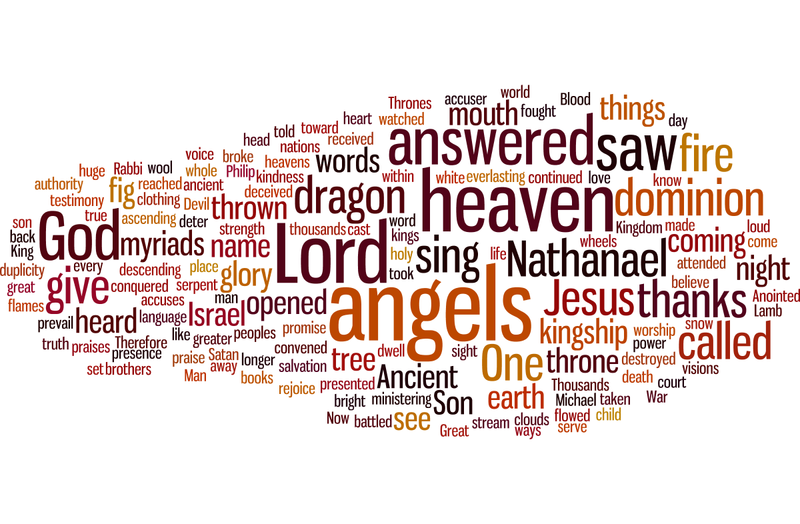 The names of the angels tell us this. Gabriel means 'strength of God'; Raphael, 'God’s healing'; Michael, 'Who is like God'” (“Dutch Catechism”). I can't develop scholarly reflections on archangels, but I can experience God’s love. May the angels always be with us and walk happily with us into the arms of God. DailyScripture.net: "You'll see the angels of God": In meeting with Nathanael, Jesus reveals how God looks at each of us and invites us into communion with him. Nathanael was startled Jesus knew and understand him before he said anything. The fig tree was a symbol of God's peace and blessing; it provided shade and refreshment for prayer and reflection. Rabbis gathered their disciples under its shade to teach them from Scripture; they said, "He who tends the fig tree will eat its fruit." Maybe Nathanael was reflecting on the promised Messiah King and drifted into a nap like Jacob. It was revealed to him that Jesus was the Messiah, "Son of God, King of Israel," Jesus offered him the gift of friendship with God and access to his throne. In Jacob's dream God opened a door that brought Jacob and his people into a new relationship with God; God revealed his angelic host and the throne of heaven and promised Jacob that he and his descendants would dwell with God. Angels are God's servants and messengers, "mighty ones who do his word, hearkening to his voice," "ministering spirits sent forth to serve, for the sake of those who are to obtain salvation." They belong to Christ and were created for and through him. They also protect and guard: "He will give his angels charge of you to guard you." The armies of heaven fight for and with us and with us in the spiritual battle for our hearts, minds, and wills.